Since I can remember I’ve scrawled my thoughts on bits of paper. Sometimes I go back and read what I’ve written, mostly I just stack them up, in tidy piles, before shipping all those words off with the binmen on a Monday morning. But I’m always writing something. It might be a shopping list, or a story idea. I have jotters, journals, and diaries full of stuff, and a desktop that would put even the worst hoarder of physical objects to shame – my digital filing system is non existent. That’s par for the course, right? When you think of a writer you don’t think of an organised person, or someone who exercises much self control. The phrase ‘freelance writer’ probably conjures up images of a person who sleeps in late, wears a dressing gown, and lives in a carefree Bohemian bubble. 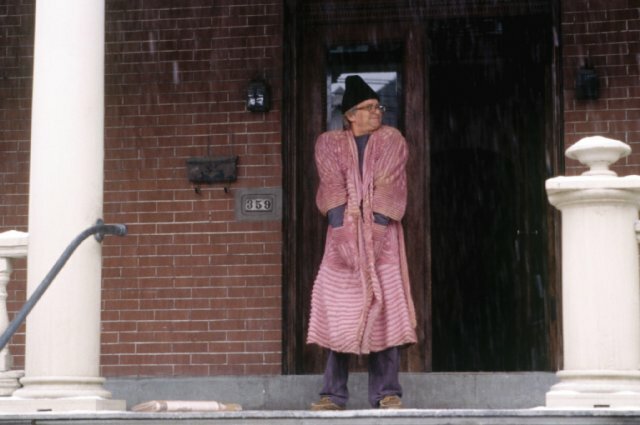 Michael Douglas in Wonder Boys – a stereotypical, dressing gown clad, pot smoking writer. That’s not the truth for most writers, and the very famous ones have spent a considerable amount of time writing pointless thoughts on small corners of envelopes and receipts at two in the morning. The majority of writers go hungry so they can keep spilling words onto paper. Sadly, those pieces of paper don’t go anywhere, those words will never survive beyond their lonely context, because writers don’t generally know where (or how) to place their work for the best results. Poets, novelists, writers – they all know that writing is a calling. It’s not for the faint-hearted, especially as a profession. It’s a struggle, it leads to penny counting, to late night fist fights in the reduced aisle at Tesco (slight exaggeration), and to self doubt. But writing does come with a sense of purpose, and perhaps even determination. You have to see off some dark days, some troubling times, with only hope to guide you. Things will get better, they must because the alternative is too troubling. Writers are able to speak for others, to organise chaotic thoughts into some kind of coherency, and this is how most writers make a living. But the term writer doesn’t carry the weight that it needs to, it doesn’t reflect the complexities of writing in the digital age, and so another label is needed: Content Creator. Content Creators are pretty much just writers, although they have more of a sense of the marketing potential of their work. It’s not enough to write, you have to tailor content, you have to understand the audience, and the best way to express a client’s thoughts. If you don’t, great writing can be lost to the binmen, and they certainly don’t stop to read your illegible handwriting among the household waste and left over cat food. It’s not just about crafting something new either. Content Creators are skilled at reusing and repurposing existing work, and placing it in better contexts. They have an instinct that tells them how to repackage a concept for the best possible results. They know how to sell their writing, and they know that the best writing gets results. Not all words are created equally, and not all sentiments should be expressed in the same way. Writing needs tailoring to meet the needs of the audience, and reflect brand values with authenticity. That’s why I consider myself as a Content Creator. The work I do is bespoke, it belongs to the client, and I write for them. Forget the scraps of paper, or the unfinished thoughts in jotters and journals, those are going nowhere (although some stuff could be repurposed for Twitter). I’m interested in speaking for others, and eloquently too. Get in touch if you’d like handcrafted content for your business. I’ll strive for an authentic expression of your brand and its values. I will use my skills as a writer to create bespoke content that surpasses your needs, and shines with originality. I’ll craft content that you’re proud to say belongs only to you. Next Next post: Can Marketing be Authentic?